A branch of the Orrick family of Warren County TN eventually became known as Arrick. This family is descended from the Orricks of Maryland who migrated down to North Carolina, South Carolina, then over to Kentucky, and then down to Warren Co Tennessee in the 1820s. One son of the Orricks who first came to TN was John Orrick. He was a farmer and didn't have a need for reading and writing. The Orrick name was pronounced Ark in that area at that time. John died from wounds at the battle of Shiloh and left his wife Margaret with 6+ kids to raise. Margaret used the spelling Arrick as did many of her children. One of the children went to southern Indiana and one to Texas where Arricks remain to this day. Many of them do not know that their ancestors are really Orricks. This whole story is compounded by the fact that a cursive O often looks like an A. This has lead to Ancestry.com and others transcribing Orrick incorrectly as Arrick in the 1850 and 1860 census. See this proof that they are really Orrick. Documents about this family use the names Ark, Arick, Arrick, Orrick, Orick. A recent addition to the evidence comes from the death certificate of Margaret's child Fannie Arrick. 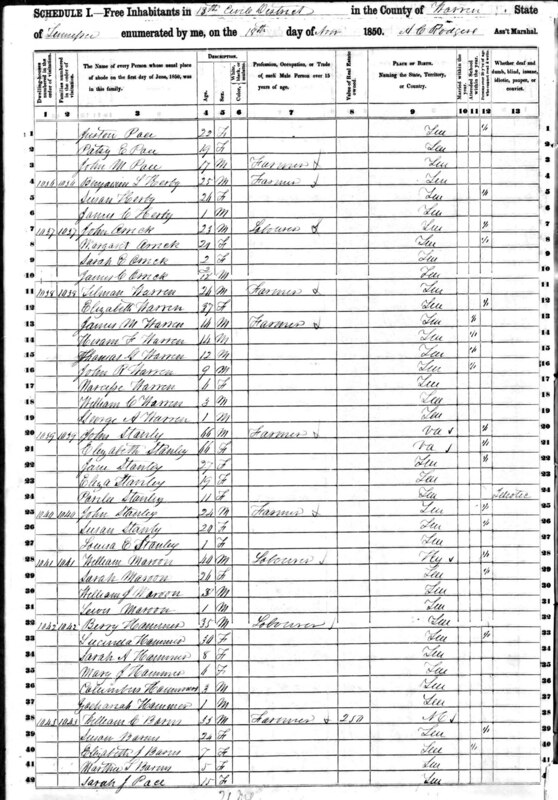 Here is the John and Margaret Orrick family in Warren Co., TN in the 1850 Census. They are plainly written as Orrick, yet Ancestry.com and other transcribers have sometimes incorrectly written them as Arrick. 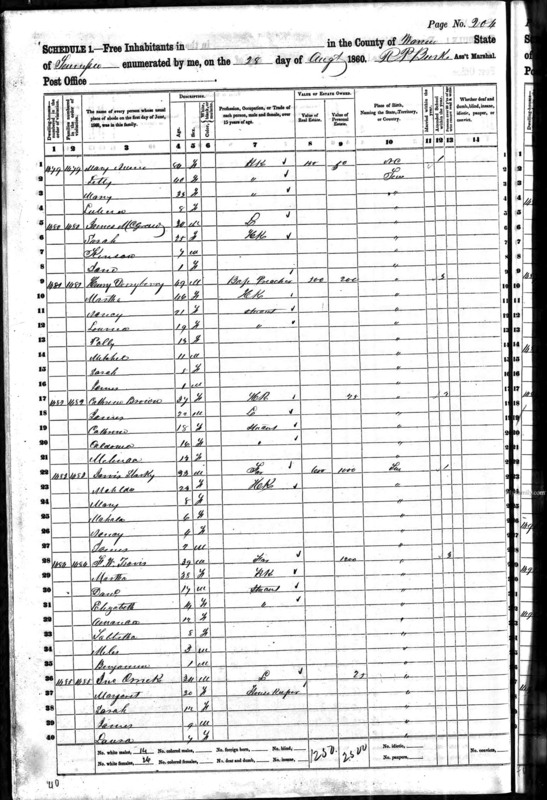 The census taker was Archibald Clendenon Rodgers and this document shows how he wrote 'A' and 'O'. Notice, John and Margaret are listed as "Over 20, cannot read and write". 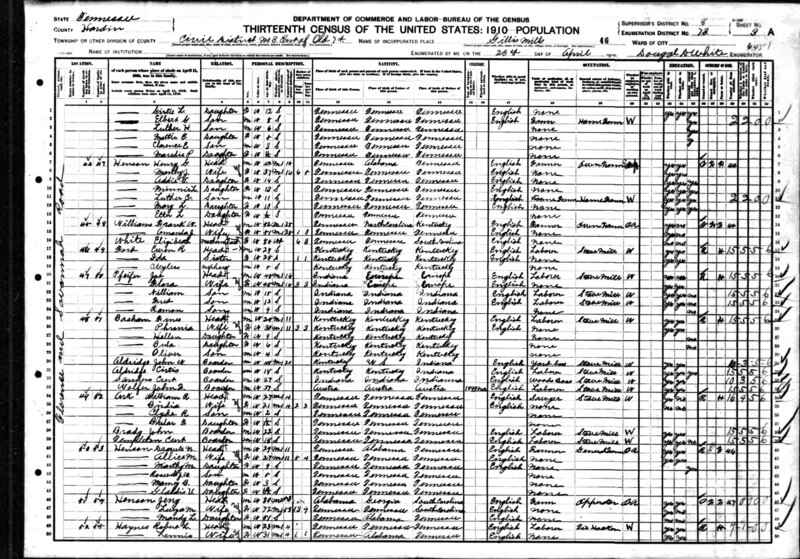 Here is the same Orrick family again in the 1860 Census. 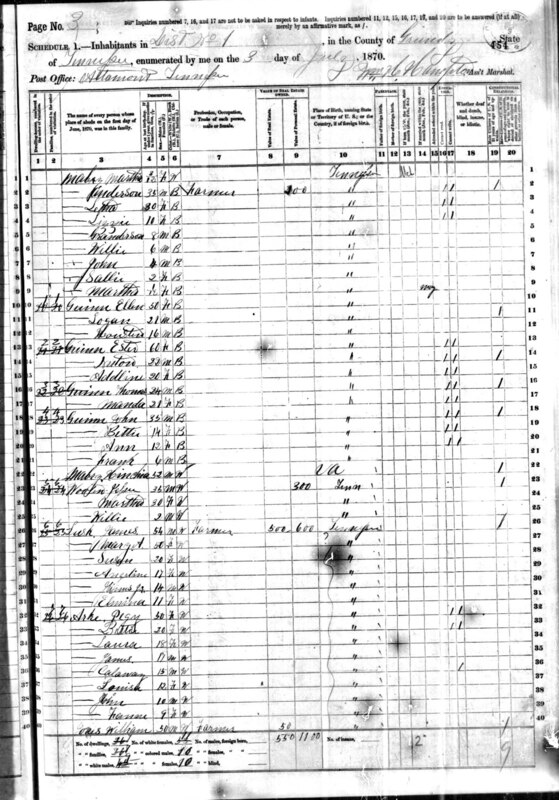 Here is the family in the 1870 Census in Grundy Co. Jno is gone. Arke, Calaway, 15 - is this William? In 1872, Laura Orrick marries Pete Cornelison. She is shown in the Coffee Co Heritage book as Laura Ark Cornelison. In 1877, James gets married to Mary Frances Beckham and uses the name Arrick. 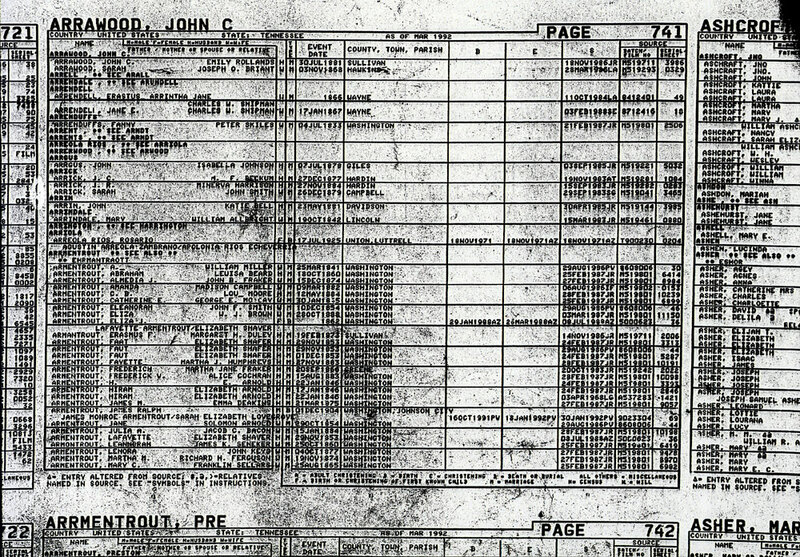 Microfilm image shows the marriage. 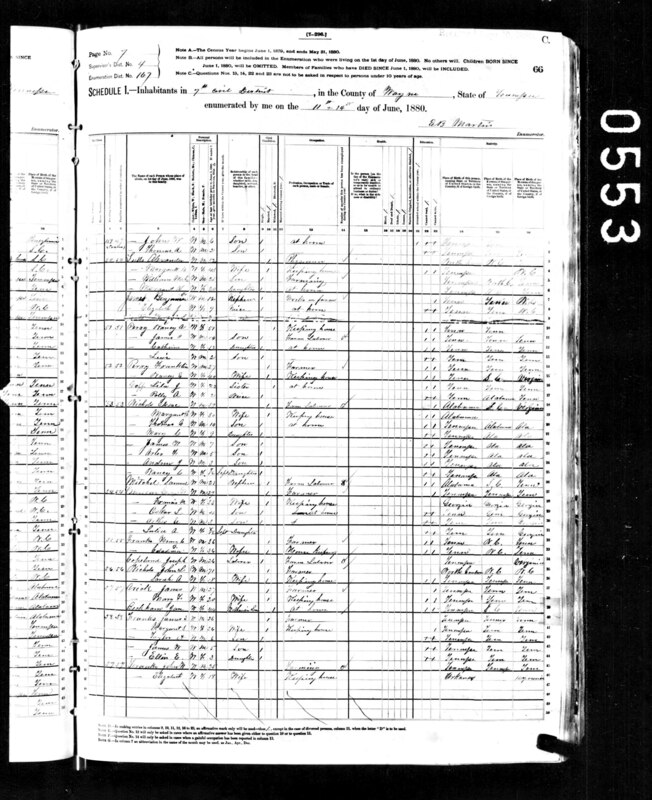 Also shown on this microfilm is John Riley's marriage to Manerva Viola Harrison in 1884. He also uses the name Arrick. They are transcribed incorrectly in many databases as Arick. 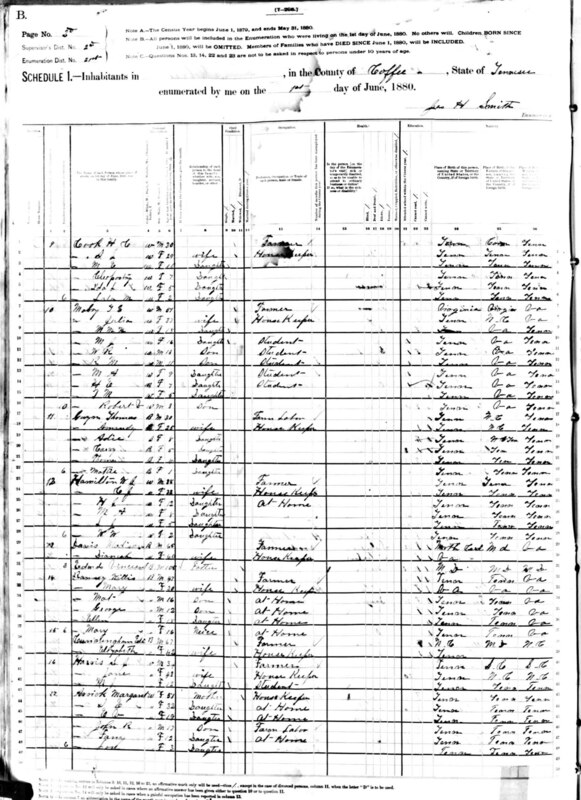 Here is Margaret and the kids including John Riley in the 1880 Coffee Co. census - Now as Arrick. In 1884, Elizabeth Violet (Eliza) Arrick gets married to Manley Wileman Cash (Mack). 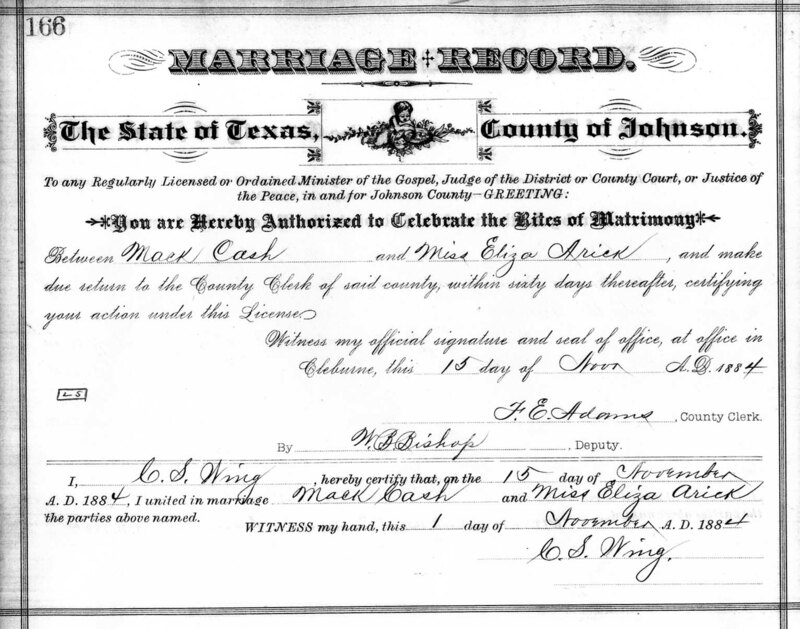 Here is their marriage record in Johnson County, TX. Her last name is spelled Arick. 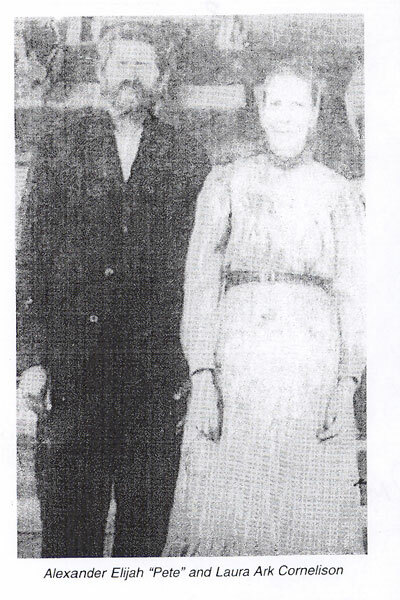 In 1892, John Riley Arrick's infant daughter dies in Kaufman Co, TX. 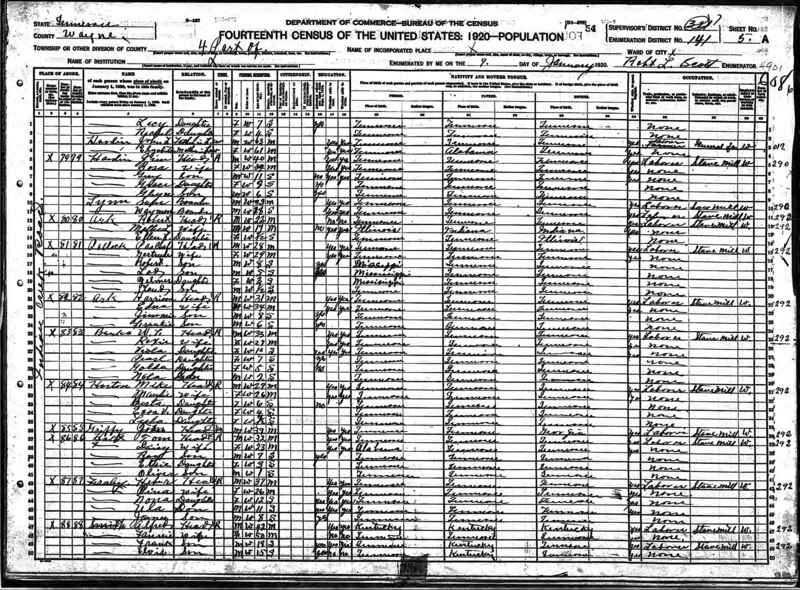 The Forney Tribune reports this a "infant of John Ark"
In the 1900 Wayne Co. census, James and his family are listed as Arrick. 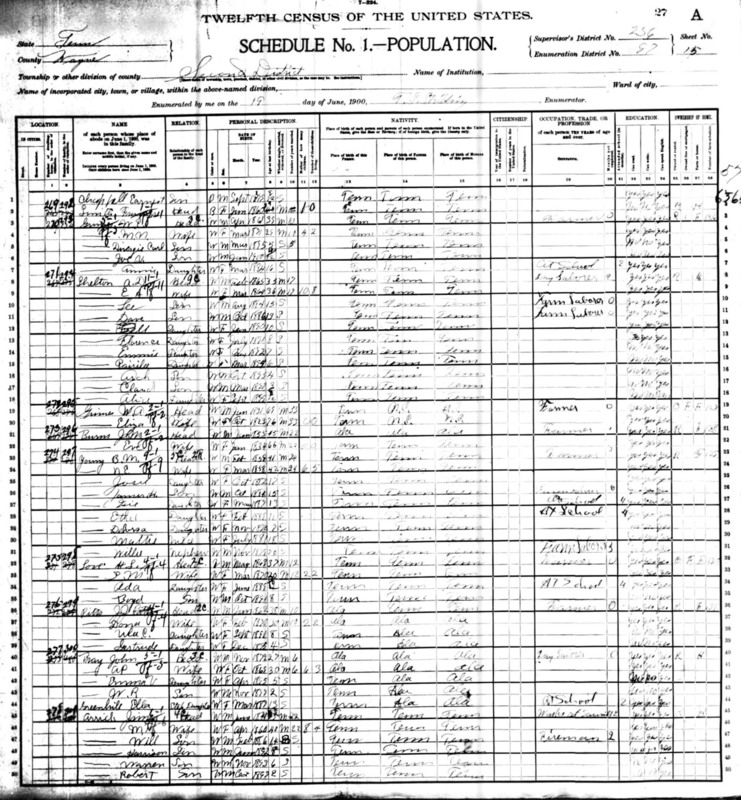 John Riley and his family in Kaufman Co, TX is listed in the 1900 Census as Arrick. 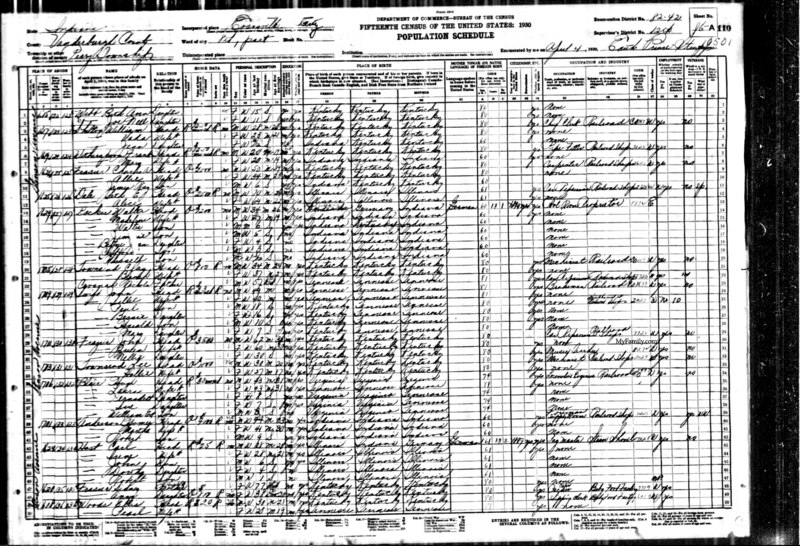 In the 1910 Wayne Co. Census James has passed and his wife and kids are listed as Ark. Their oldest son, William now lives with his new wife in Hardin Co, TN - Listed as Ark. 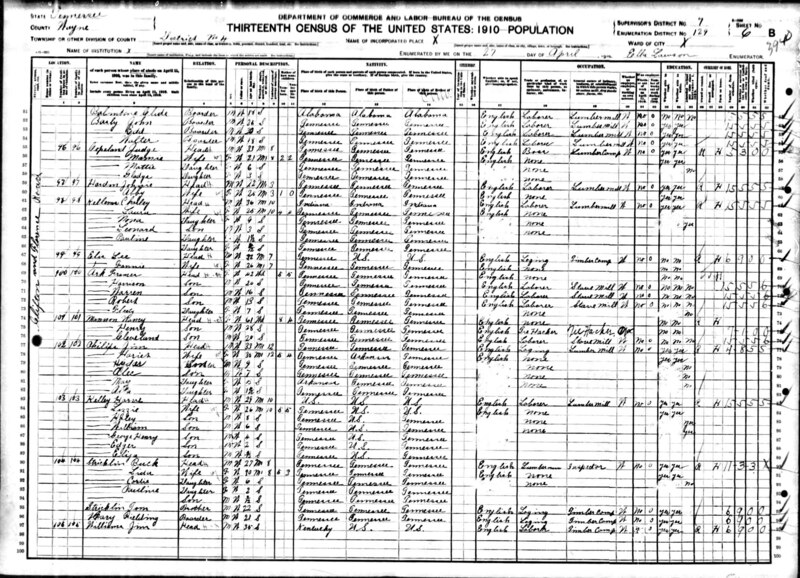 Census page. 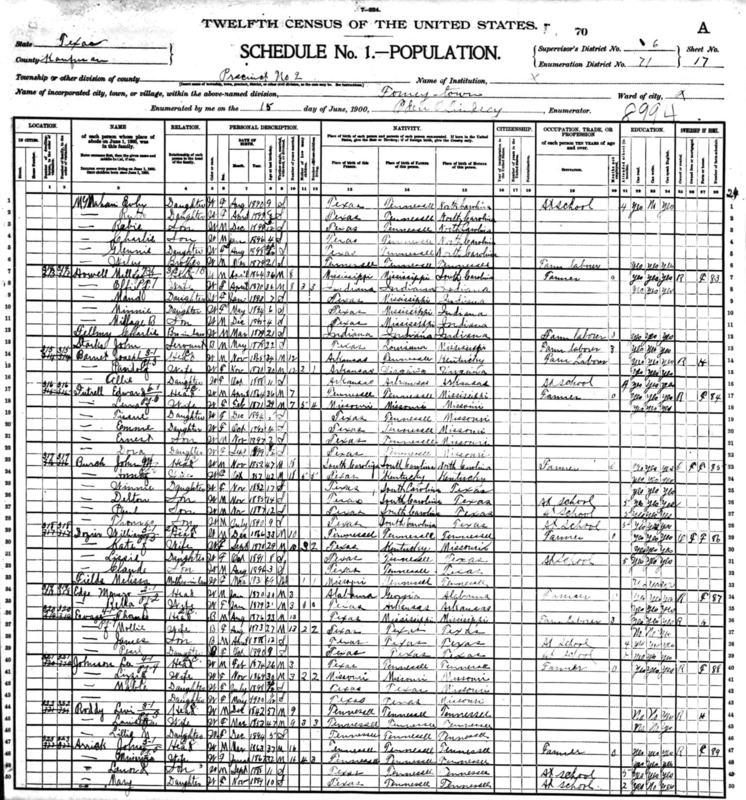 The 1920 Census in Wayne Co. shows the Families of Robert and Harrison as Ark. 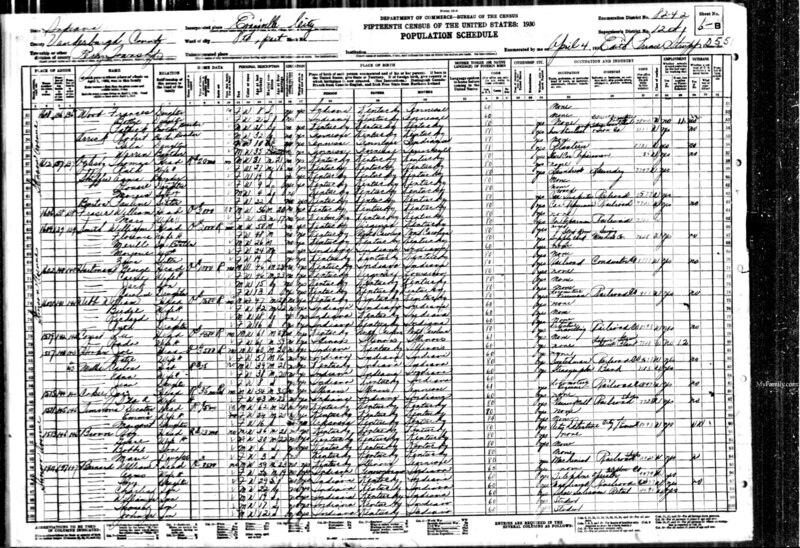 Warren and William have migrated to Vanderburgh Co, Indiana and are shown in the 1920 census. 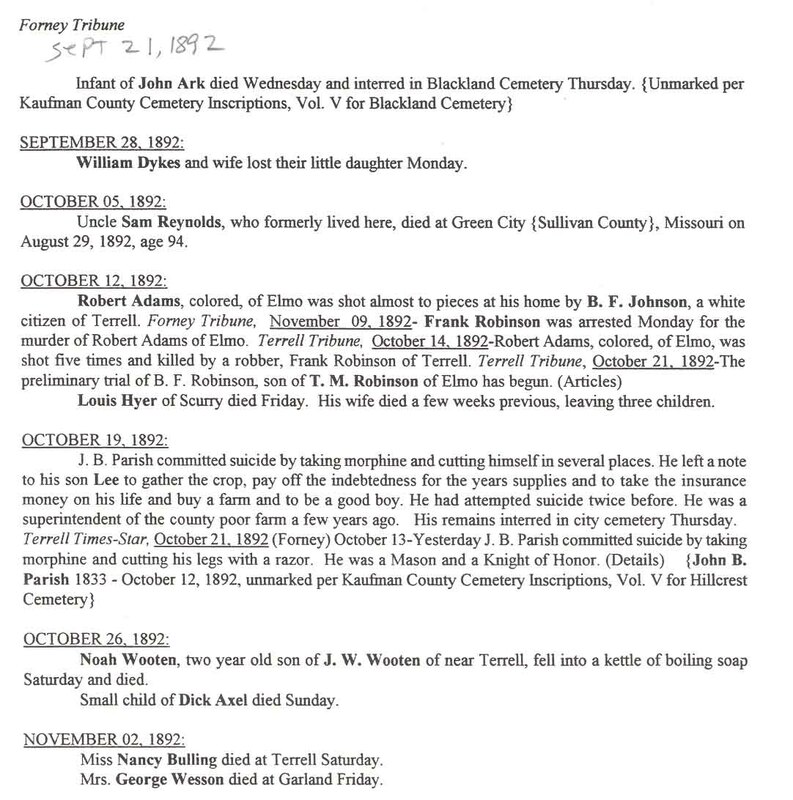 In 1927 the oldest Orrick daughter Sarah Elizabeth (Bettie) dies in Franklin Co, TN. 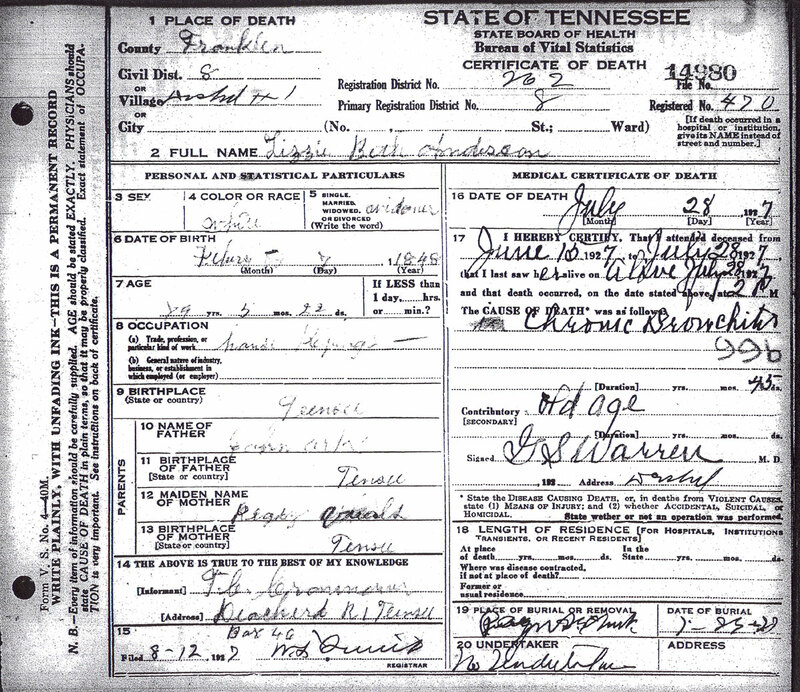 Her death certificate shows her father's name - John Ark. 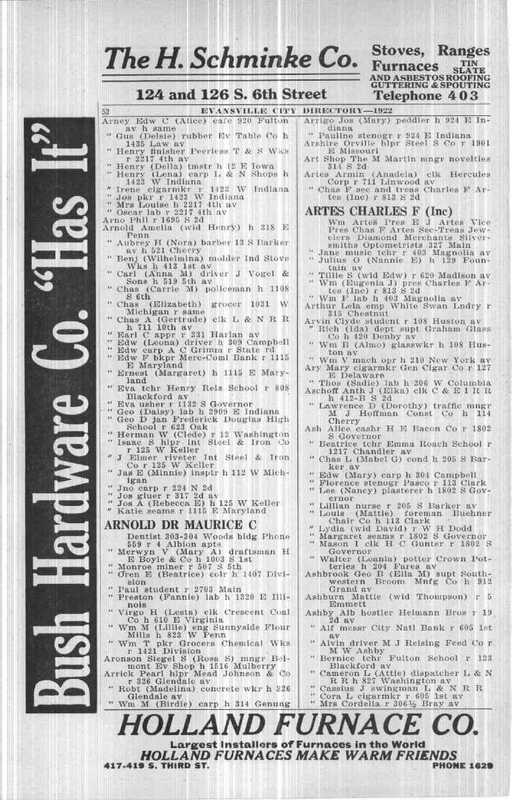 Here is the Evansville City Directory in 1922 showing Pearl Arrick, Robert, William as Arrick. 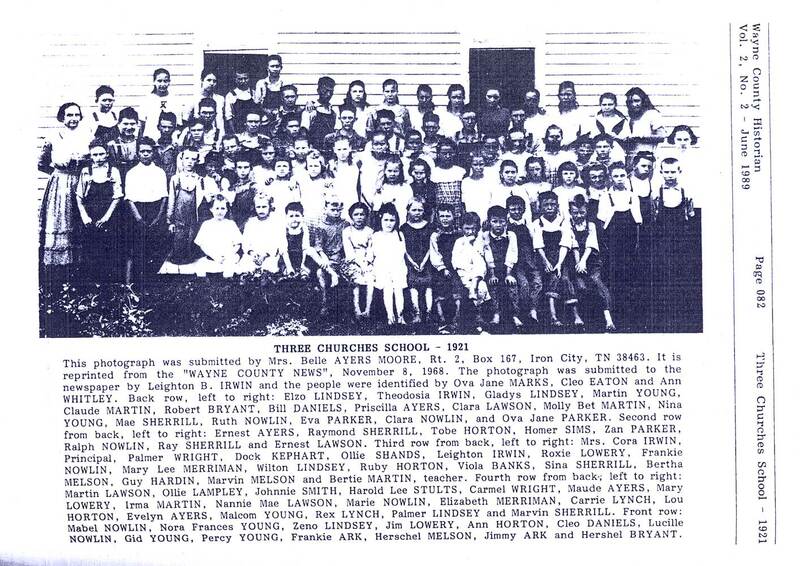 Here is a picture of young Jimmy and Frankie Arrick (Harrison's sons) in 1921 at the Three Churches School listed as ARK - Bottom Row.